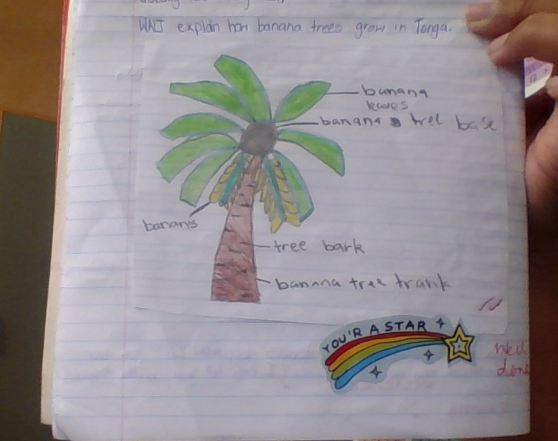 WALT explain how banana trees grow in Tonga. Yesterday we were reading a book about banana trees. After we read the book we had to draw a banana tree and label it. This is my labelled drawing.